On 21 October 2015, the German Federal Court of Justice (BGH) ruled that the registered 3D trademark of Mars‘ „Bounty“ chocolate bar is protected against trademark use by competitors. The Court held that if the public perceived the shape of a product as a source indicator, then it was very likely to do the same with a highly similar shape of a competitor’s product, as long as the goods were identical. Registration had become possible because by presenting a survey from 2004, Mars had been able to prove that 53.2 % of the relevant German public recognized the form of the „Bounty“ chocolate bar as coming from a single source and that the mark had, thus, acquired distinctiveness through secondary meaning. , that Mars thought to be identical, but at least very similar, to its newly registered German trademark. In fact, the competitor’s product is a little flatter and the ridges on the top are somewhat coarser than on the „Bounty“ bar. The German licensee of Mars Inc. sued the competitor for trademark infringement. While the Court of First Instance (Landgericht) decided in favor of Mars Inc., the Court of Appeal (Oberlandesgericht) denied the claims. It stated that the shape of the „Wish“ chocolate bar did not differ significantly from the usual forms of chocolate bars and would, thus, not be perceived as an indicator of the source of origin of the goods. Consequently, it was not used as a trademark and Mars could not claim trademark infringement. Upon further appeal, the decision was overturned by the German Federal Court of Justice (BGH). With regard to three-dimensional trademarks, the BGH had stated in earlier decisions that experience showed that the public would first and foremost attribute a functional and aesthetic purpose to the shape of a good. Thus, the shape would not be perceived as an indicator of the source of origin of the good in the same way as it would have been the case with a word or figurative mark. However, the „Bounty“ chocolate bar had been registered because it had acquired distinctiveness through secondary meaning. 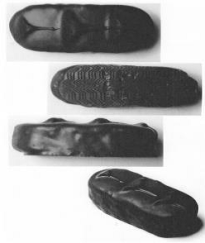 That showed that the public perceived the shape of the „Bounty“ chocolate bar as an indication of the source of origin and, thus, as a trademark. When the BGH now had to decide if the form of the „Wish“ chocolate bar was used as a trademark, it found no reason why the public would treat the shape of the „Wish“ chocolate bar differently from the „Bounty“ chocolate bar. 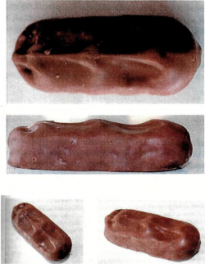 The judges said that if the public perceived the „Bounty“ shape as a source indicator, then it was very likely to do the same with the shape of the „Wish“ chocolate bar – as long as the goods were identical and the signs highly similar to each other which was confirmed in the present case. Therefore, the decision of the Court of Appeal was corrected and trademark infringement confirmed. Overall, the decision strengthens the position of the owners of German 3D trademarks that have been registered because of acquired distinctiveness and the value of those trademarks is enhanced.